Lindor French Bulldogs is a family-oriented breeding company that is dedicated to providing you with quality French Bulldogs. 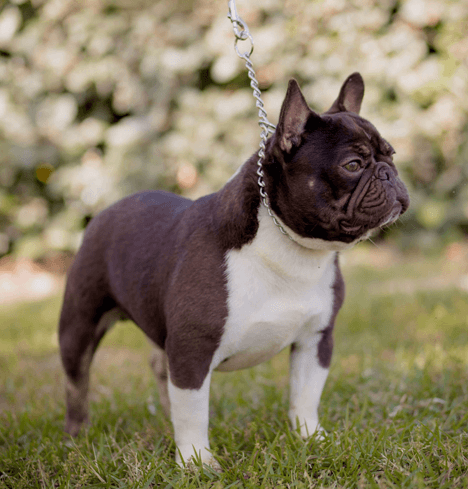 We offer some of the finest French Bulldog puppies on the market and have built our foundation around some of the most renowned pedigrees in the world. 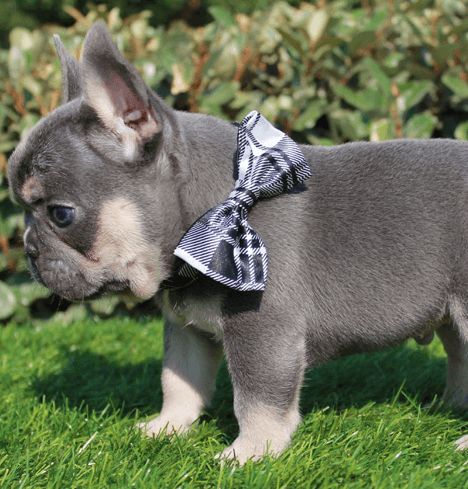 We specialize in producing blue, lilac, merle French Bulldog puppies, as well as variations of rare colors. We regularly have a wide selection of available puppies. If you are in the market for a new Frenchie, be sure to see our currently-available French Bulldog puppies. Because our selection is so diverse, you are sure to find a puppy that suits your preferences and desires. All of our breeders are carefully chosen based on American Kennel Club (AKC) standards. When selecting our breeding males, we are careful to ensure quality matches from the most elite bloodlines. Male coat colors include everything from solid blue to unique combinations of lilac and tan. In general, Frenchies are well-known for being very smart and anxious to please. Similar to our males, our breeding females also come in a variety of color options. This includes solid blue, blue brindle, lilac, various merle shades, and lilac platinum. Some even feature gorgeous color combinations such as blue and tan, along with lilac and tan. We are honored to be called AKC French Bulldog breeders. 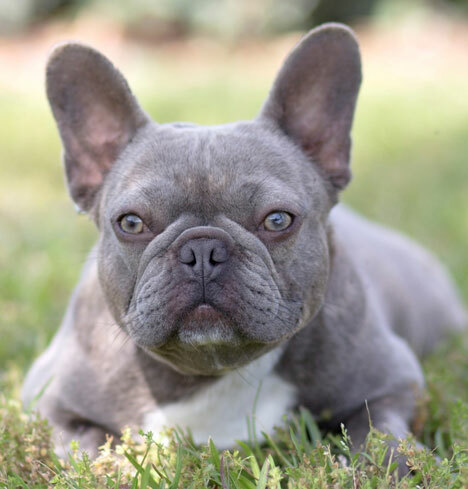 Please contact us at 904.257.8264 to learn more about our available Frenchies! Feel free to browse our selection of male and female dogs to learn more about what to expect when it comes to size, body structure, color, and temperament from different litters.